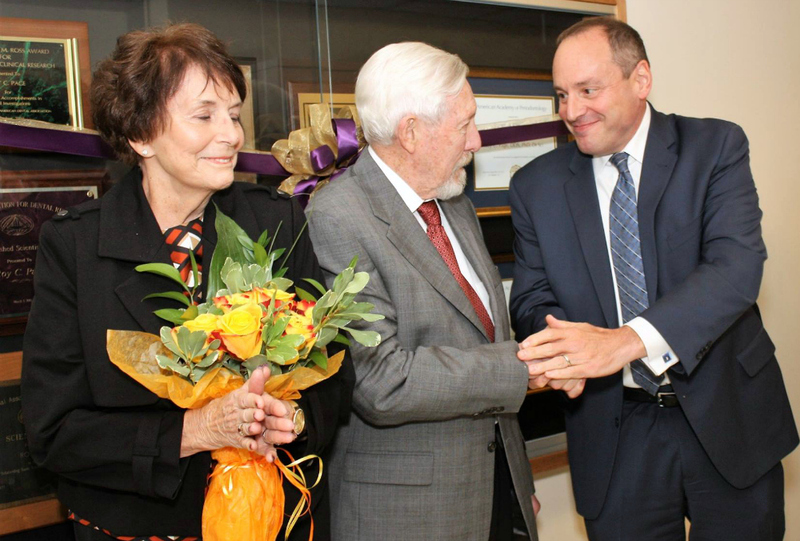 The Department of Periodontics is pleased to welcome Dr. Dennis Smith as the 2017-2018 Saul Schluger Endowed Chair in Periodontics. Drs. Mike Giardino, Amit Gharpure, Eddie Lee and Faisal AlJofi join Dr. Dennis Smith at the kickoff of his Fundamentals of Periodontal Surgery course. Dr. Smith has returned to Seattle after teaching at Loma Linda University School of Dentistry in California for the last eight years. 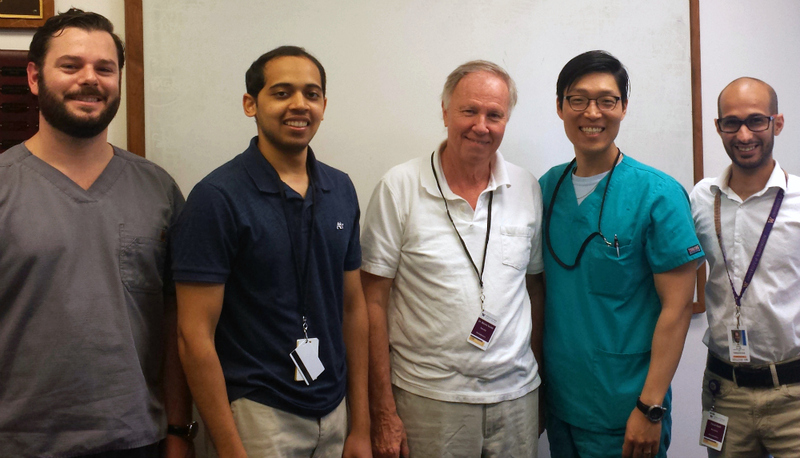 This summer quarter Dr. Smith is teaching a new course to our first year residents covering the basics of periodontal anatomy, non-surgical periodontal therapy, and periodontal surgical rationale, technique and instrumentation, as well as teaching in Clinical Periodontics. 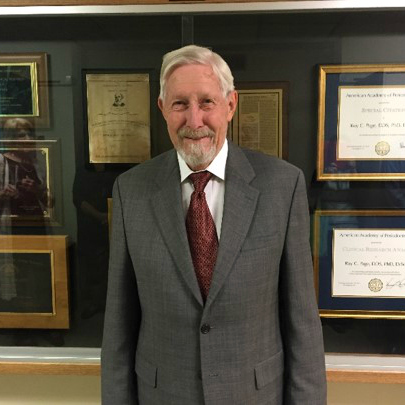 He received his MSD in Periodontics from the University of Washington in 1976 (as well as a certificate in Prosthodontics from the UW in 1974) and has held various academic appointments at the university in both Restorative Dentistry and Periodontics for over forty years. This entry was posted in Alumni, Courses, Faculty, Residents and tagged alumni, faculty, residents, students on July 3, 2017 by Meghan Guillen. The residents presented Dr. Smith with a photo book of Washington State, signed with their appreciation. 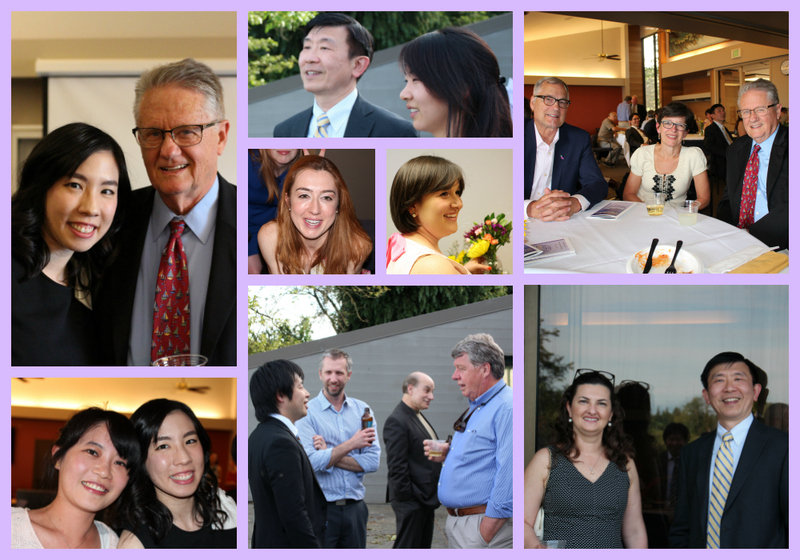 The Department of Periodontics gathered recently to say “Thank You” to Affiliate Professor Dr. Dennis Smith (UW Perio 1976), who joined us part time for Autumn Quarter 2016. The students greatly enjoyed the combined Perio/Prosth knowledge he shared with them, and they all, and us, hope that he will come back soon! This entry was posted in Alumni, Faculty, Residents and tagged alumni, faculty, recognition, thank you on January 3, 2017 by Meghan Guillen. 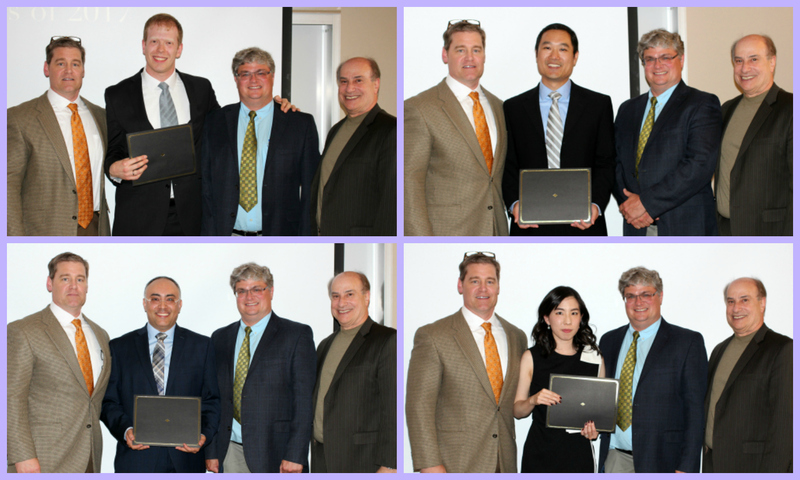 Recently, Dr. Ken Akimoto and Dr. David Mathews were honored as the first recipients of the Graduate Periodontics program Director’s Award. 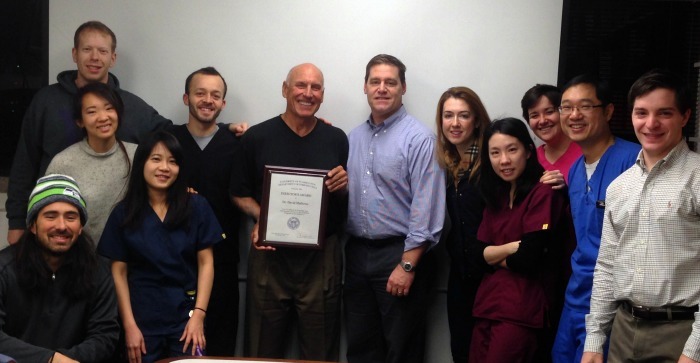 This newly created annual award is given for “Excellence in Teaching and Meritorious Service to the Graduate Program in Periodontics”. 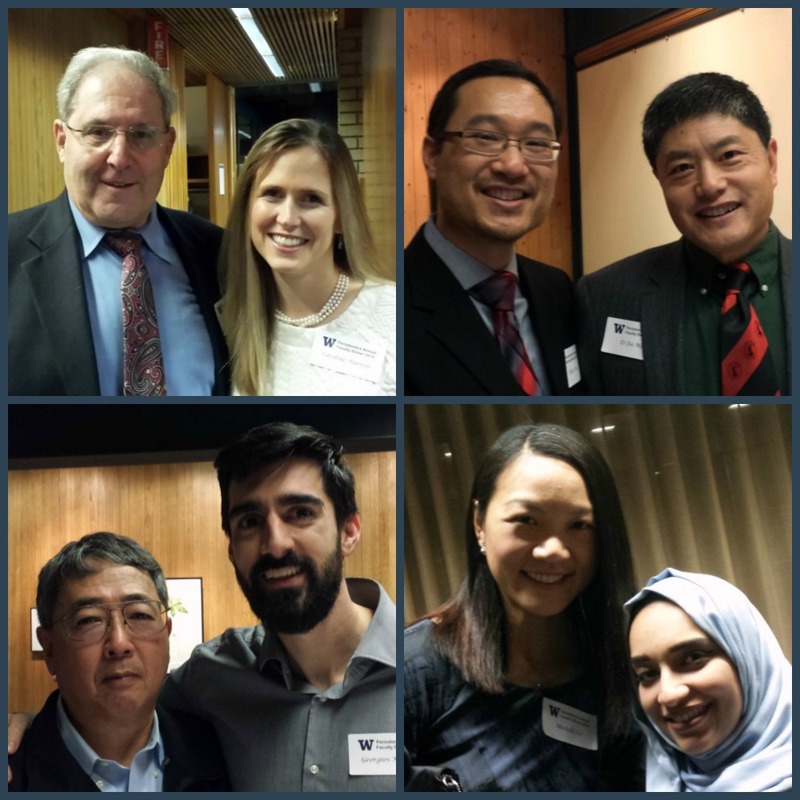 Dr. Akimoto and Dr. Mathews are affiliate faculty members in the department, and in addition to volunteering their time in the Graduate Periodontics clinic, both doctors lecture to the residents on their clinic days. Everyone here, from residents, to faculty, to staff are deeply appreciative of their dedication to the UW and to the quality of education they provide. Before giving a lunchtime lecture, Dr. Akimoto gathers with residents and Dr. Doug Dixon, after receiving his 2016 Director’s Award. 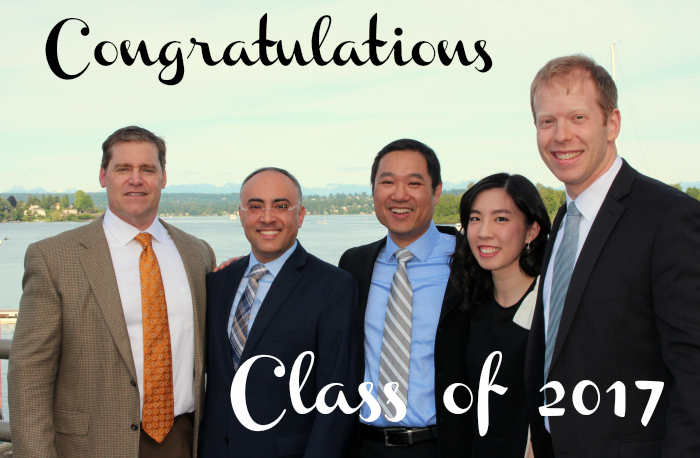 Grad Perio residents and Dr. Doug Dixon with Dr. David Mathews after the presentation of the 2016 Director’s Award. 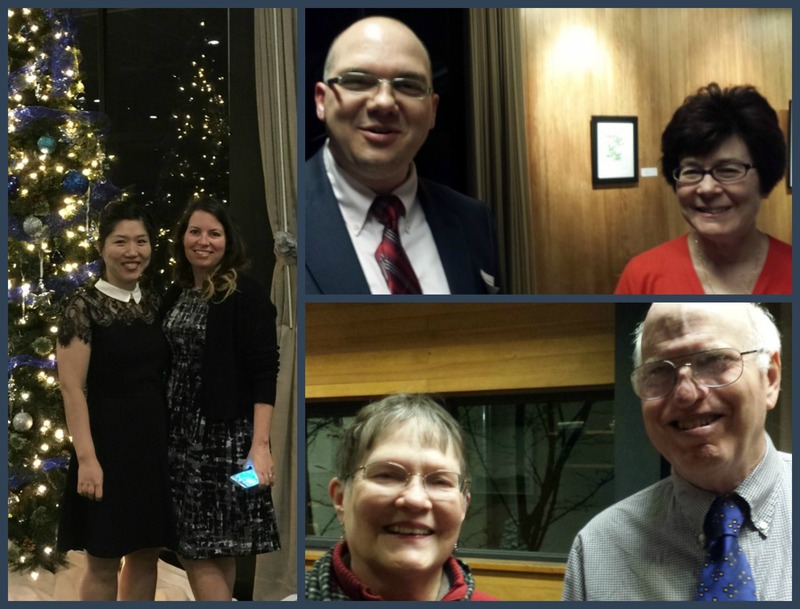 This entry was posted in Alumni, Awards, Faculty, Residents and tagged alumni, Autumn Quarter, award, Director's Award, faculty, recognition, residents on December 19, 2016 by Meghan Guillen. 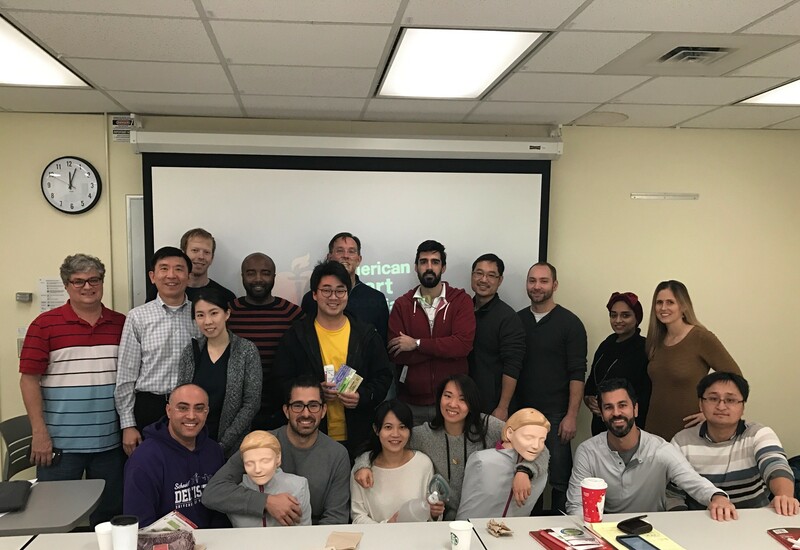 This past Saturday faculty and residents in the Department of Periodontics took part in an ACLS (advanced cardiac life support) certification/re-certification course led by trainers from Northwest Medical Training Group. The training was all day here at the health sciences center, and we give a hearty “Thank You!” to our dedicated team for giving up a Saturday in order to continue to be able to provide our patients with top-notch care. This entry was posted in Courses, Faculty, Residents and tagged ACLS, alumni, Autumn Quarter on December 8, 2016 by Meghan Guillen. 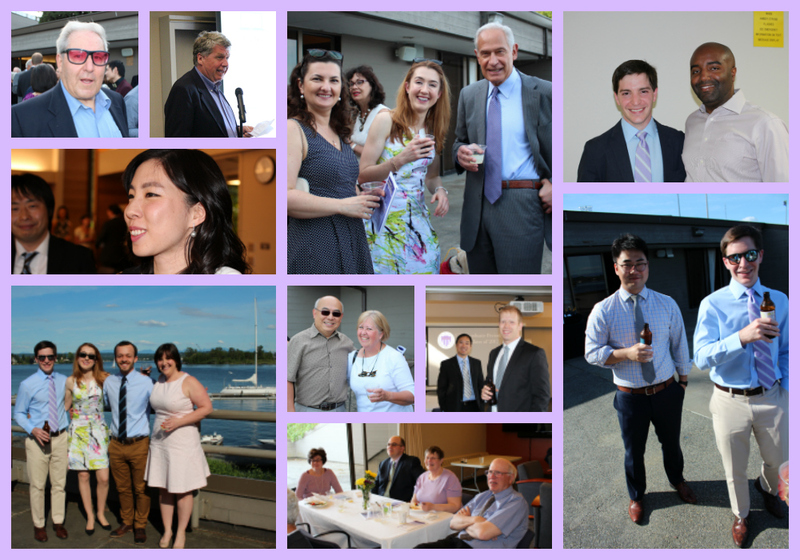 Every year the faculty, staff and residents of the department gather to show our appreciation for the dedicated affiliate faculty who volunteer their time teaching in the pre-doctoral and graduate clinics. We enjoyed a cocktail hour followed by a dinner program where residents and faculty presented the honorees with certificates of appreciation. 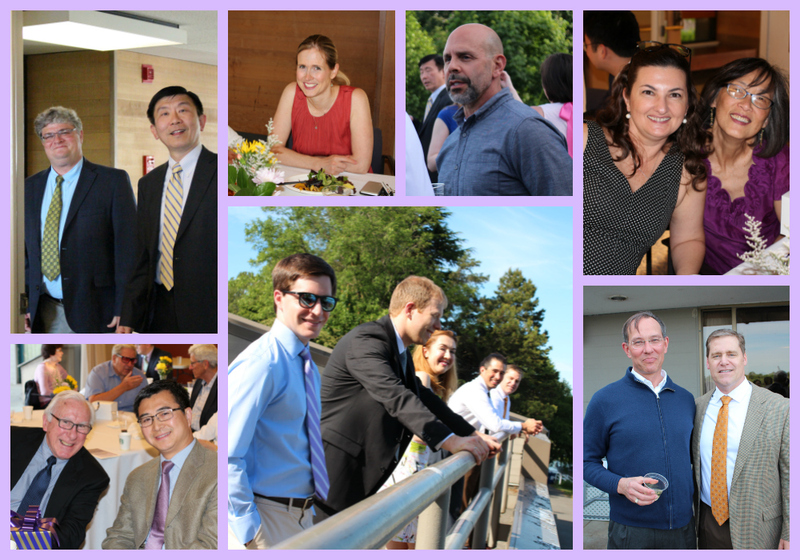 Thank you affiliate faculty for your support – we couldn’t do it without you! Faculty, residents and staff gather each year for a group photo at the end of the evening. This entry was posted in Alumni, Events, Faculty, Residents and tagged alumni, faculty, family, Holiday, party, residents on December 3, 2016 by Meghan Guillen. We are proud to announce that recent grad Dr. Luciana Safioti (’16) won the prestigious Clinical Impact Award at this year’s AAP meeting in San Diego. She presented her project “Increased Levels of Titanium are Associated with Peri-Implantitis” during the Research Forum Oral Session on Sunday, September 11th. Congratulations to Dr. Safioti, and to her UW mentors Ms. Diane Daubert and Dr. Georgios Kotsakis (Department of Periodontics) and Drs. 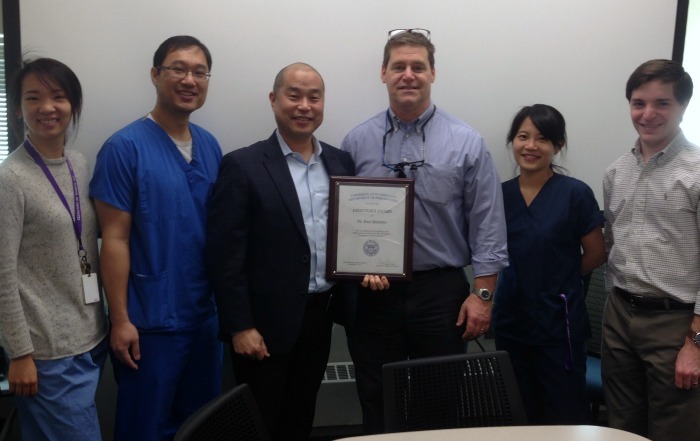 Alexander Pozhitkov and Whasun Chung (Department of Oral Health Sciences). 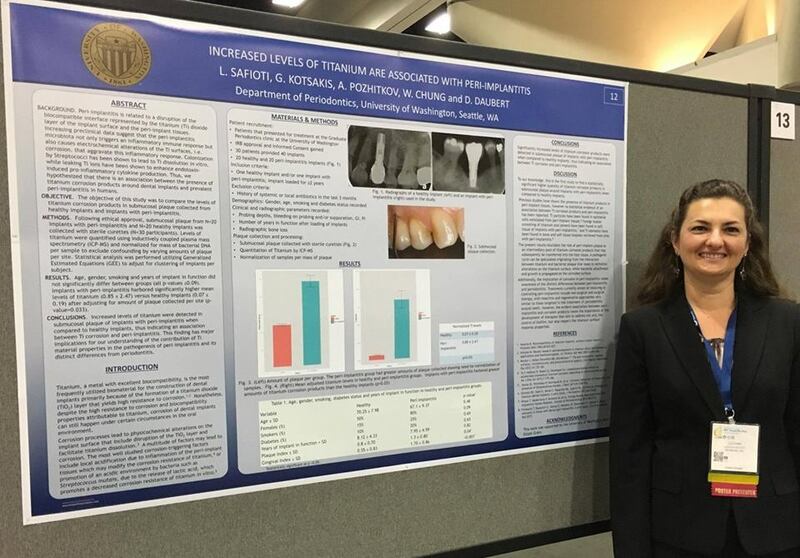 This entry was posted in Alumni, Faculty, Research and tagged AAP, alumni, annual meeting, award, faculty, Peri-implantitis, poster session, recognition on September 20, 2016 by Meghan Guillen. 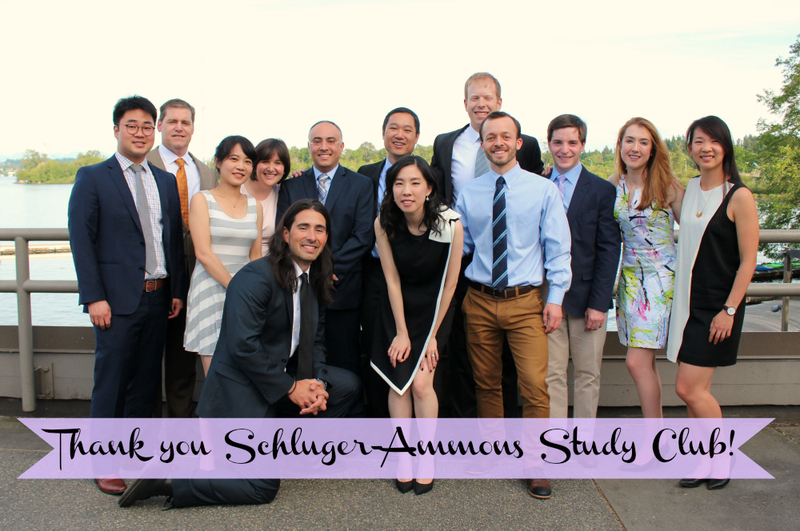 Make your plans now to join fellow alumni at the Schluger Ammons Study Club dinner at this year’s AAP meeting. The annual dinner will be held on Sunday, September 11, 2016 at Mr. A’s restaurant (minutes from downtown San Diego). The evening begins with No-host cocktails from 6:00 – 7:00 PM, with dinner immediately following, and the cost is $145 per person (appetizers and dinner wine included). Please click here for the registration form – registration is only open until August 30th, and seating is limited to the first 100 respondents, so get your registration in today! This entry was posted in Alumni, Events, Faculty, Residents and tagged alumni, faculty, family, party, San Diego on August 16, 2016 by Meghan Guillen.